Broader and deeper than simple fellowship, biblical friendship is first and foremost about a relationship with Jesus Christ. As you are brought into friendship and relationship with the Father, Jesus Christ calls you a friend! It is out of this friendship that our human friendships find their beginning and their purpose. 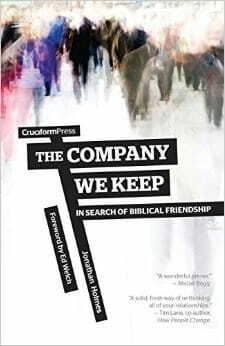 Biblical friendship is deep, honest, pure, transparent, and liberating. It is also attainable. Dig into this book, and learn how your friendships can embody this amazing and wonderful reality.